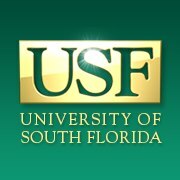 The University of South Florida, also known as USF, is a member institution of the State University System of Florida and a public research university located in Tampa, Florida, USA. Introduction to Numerical Methods - Part 2 of 2 via Canvas Network 6 hours worth of material 6 hours worth of material Self paced No reviews yet. What is Music? Finding Your Song via Canvas Network 8 weeks long 8 weeks long 28th Jan, 2014 No reviews yet.